The Hampta Pass trek is one of the best treks in the Himalayas. It offers great contrasts in views, connecting the green valleys of Kullu-Manali to the more arid, desolate landscape of Spiti. 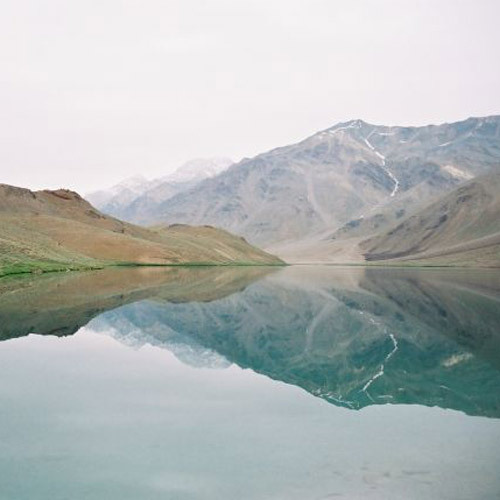 The highlight however, is the visit to the turquoise Chandratal Lake. Know more about Hampta Pass and Chandratal. Enquire about Hampta Pass and Chandratal. The Hampta Pass trek is one of the best treks in the Himalayas. At 14,100 feet, the pass connects the Kullu Valley to the Spiti Valley, winding across the Pir Panjal Range, in the foothills of the Himalayas. You’ll get to see the green valleys of Kullu and Manali before moving into the more arid, desolate landscape of Spiti. The showstopper however, is the visit to the turquoise Chandratal Lake. There are many reasons that make this one of the best loved treks in the Himalayas. It is a moderately difficult trek that includes the thrill of being able to scale a pretty high mountain pass, but is easy enough that beginners are able to tackle the challenges of the trail. Find out more in our blog post Five Reasons You’ll Love the Hampta Pass and Chandratal Lake trek. 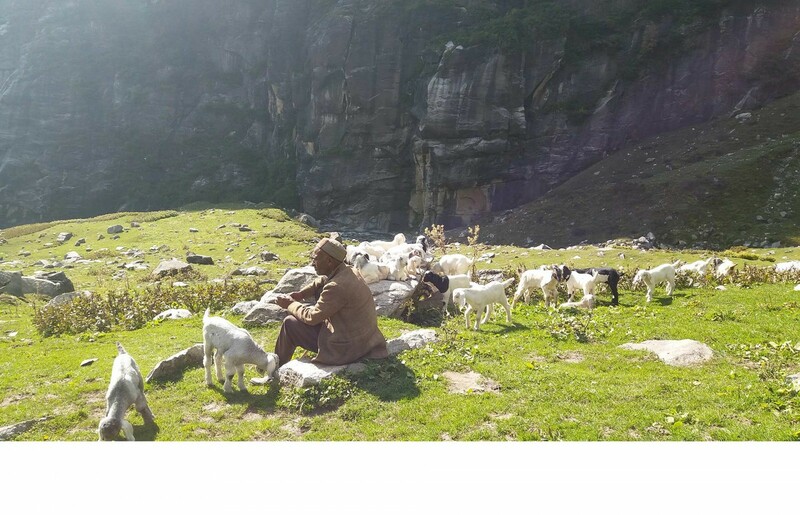 The Hampta trek starts from Kullu, near Manali, and you will be trekking through lush green valleys, mixed forests of spruce, pine, maple and oak, with birds chirping, shaggy sheep dogs, and goats dotting the landscape. You'll also see a colourful abundance of wildflowers depending on the season. 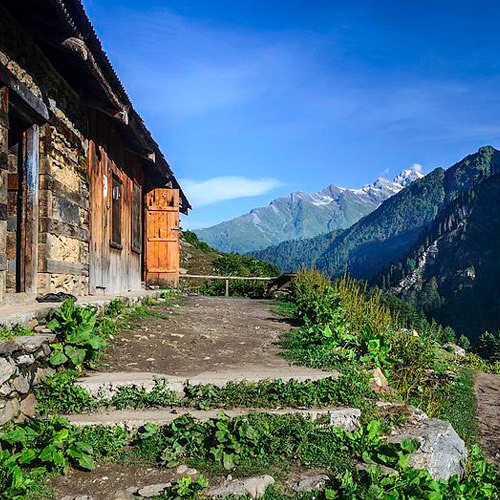 As the Hampta trek progresses, the ground changes underfoot, moving into the strikingly bare environs of the Lahaul region, known for its pristine beauty and if you're lucky, you'll be walking on snow on the Pass day. One of the highlights of the trek is Chandratal or moon lake - one of the finest high altitude alpine lakes in the country. Your Chandratal lake trek will end on a high note at a gorgeous campsite that is a short trek away from the lake. 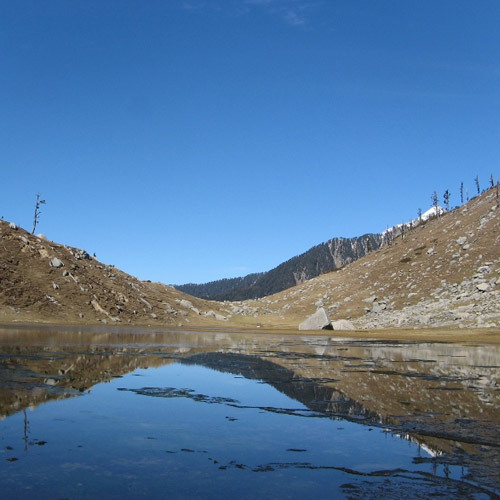 Apart from the heavenly sight of the Chandratallake, the trek offers incredible views of glacial valleys, thick pine forest, open meadows, adrenaline pumping waterways, the fjords at Baluka Gera and an adventurous crossing of a high altitude pass. When you come back home, you’re going to have a hard time deciding which part of this trek you loved best! The Hampta Pass experiences cool weather throughout the year and the best season to visit is May to September. There are some campsites on the Hampta Pass trek that are cold and windy, but your operator will ensure that you are equipped with good quality tents and sleeping bags. Dress in warm layers and remember to keep your hands, head and feet warm. Want to know about more adventures in Himachal Pradesh. Read our blog about The Top Adventures in Himachal Pradesh. One of the most beloved trekking routes in Himachal Pradesh, the Hampta Pass trek begins in Manali and takes you as high as 14,700 feet. You'll trek through the lush grasslands of the Hampta Valley, and will see the landscape change to barren mountains and rugged slopes as you approach Hampta Pass. 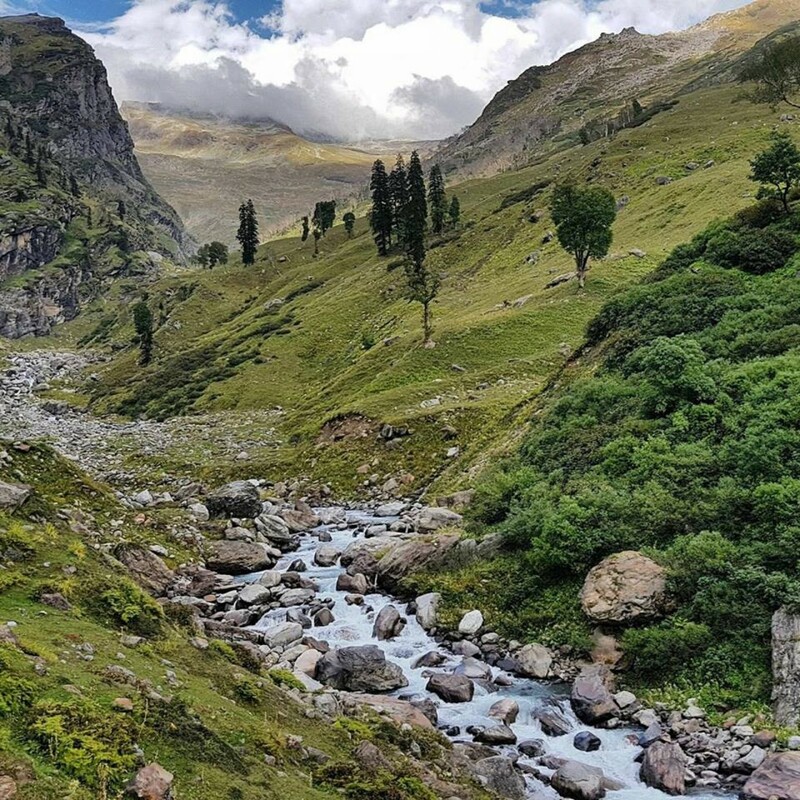 This is the shortest itinerary for the Hampta Pass trek, so it is perfect for those who don't have time or who want a short getaway in the mountains. NOTE: This itinerary does not include Chandratal. This trek to the Hampta Pass takes you deep into the interiors of the Himalayas. From varied landscapes of meadows and pine forests, to snowy mountains and a barren terrain, you'll get to experience the full beauty of the Himalayas. 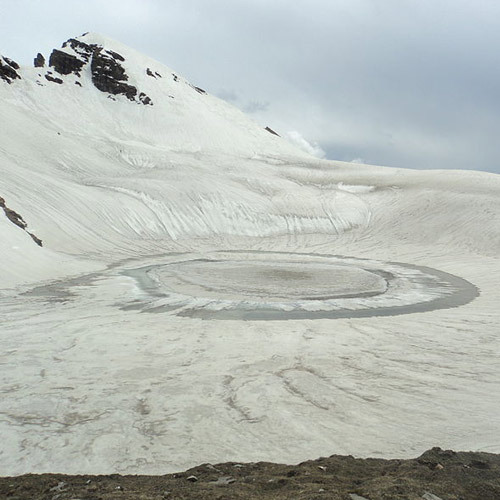 Your Hampta Pass trek ends at the enchanting moon-shaped Chandratal Lake. With its clear blue waters reflecting the arid mountains around it, this day is the cherry on the top of this trek. This itinerary gives you time to enjoy the beautiful campsites that you'll be stopping at, with short walks to explore rivers and viewpoints each day. 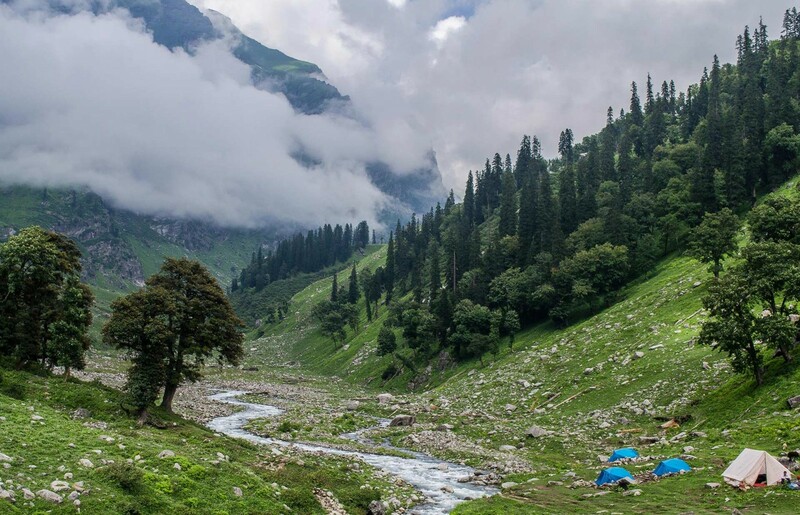 This 6-day trek to Hampta Pass is perfect for seasoned trekkers as well as fit first timers. The Hampta Pass and Chandratal trek is one of the best treks in the Himalayas, and also one of the most popular. Reaching as high as 14,000 feet, but suitable for fit first-timers, this five-day Hampta Pass trek itinerary takes you on a picturesque adventure. 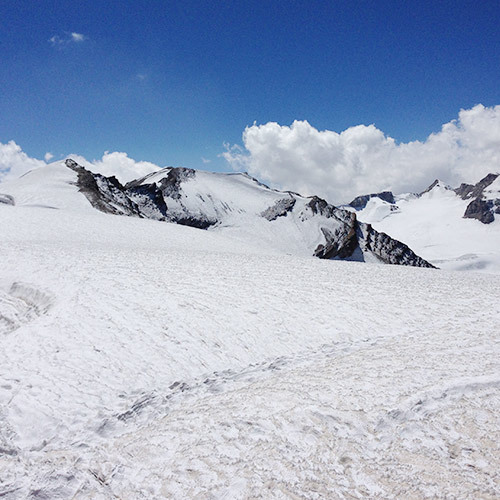 You'll start in the lush environs of Manali, and trek through pine forests and into the more stark landscape of Spiti. The third day involves a rather demanding climb up the Hampta Pass, which will be well worth it when you see the breathtaking views. But the highlight is the visit to Chandratal at the end. 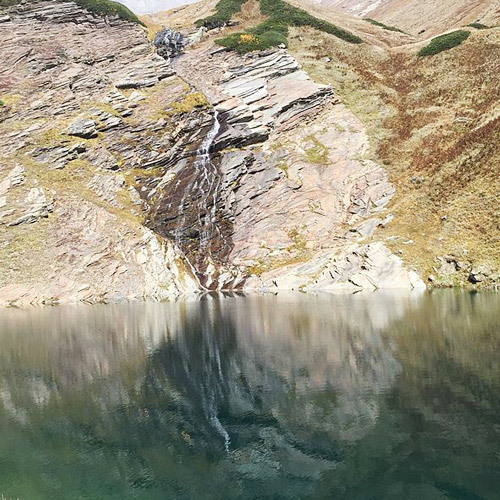 Chandratal is a spectacular blue lake that sparkles like a gem in the midst of the stark terrain. 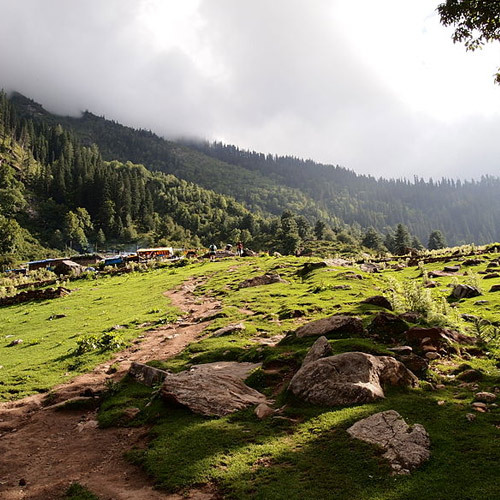 You'll have some time to explore the surrounding area and take plenty of photographs before heading back to Manali. Is the Hampta Pass trek difficult? The Hampta Pass trek is suitable for fit beginners. It is not too hard, but there are some stretches that can be quite challenging, especially the steep slopes as you get to the Pass. However, if you’re fit and active, you’ll be able to manage this trek. When is the best time to go for the Hampta Pass trek? The best season for the Hampta Pass trek is from May to September, when the trail is green and lovely in Himachal, and stark and dramatic in Spiti. Can I camp next to Chandratal Lake? 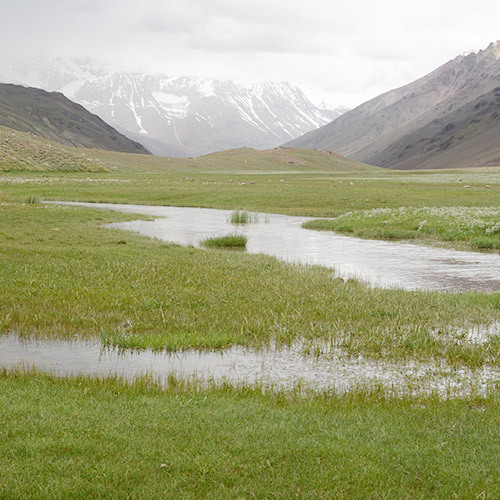 No, camping at Chandratal Lake is not allowed, for environmental reasons. 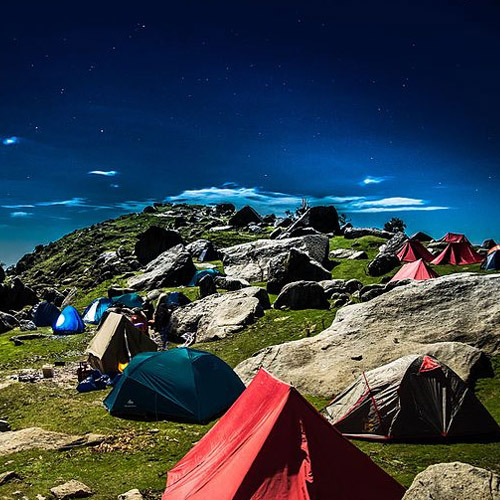 Most campsites are set up at Chatru (about 40 kms away), and trekkers will be driven to Chandratal to visit. Some operators have permission to camp about 3 kms away from the lake, but this changes from season to season. What should I carry for the Hampta Pass trek? Your operator will provide you with a full list of everything you need to pack for the trek. However, do make sure you are fully equipped for cold nights and warm days. You’ll have to dress in layers, so that you can add or remove clothing as the weather changes. Don’t forget to take a poncho, as well as rain covers for your backpack and day pack. The trail sees some rain showers now and then.